There are numerous icons throughout the history of sports. What does it mean though to be the first in your profession? The journey of an individual whose story becomes that of legend is a phenomenal one to tell but of course nothing is that clear cut. We as the public tend to forget that these are ordinary people who face the same trials and tribulations as all of us do in our daily lives. 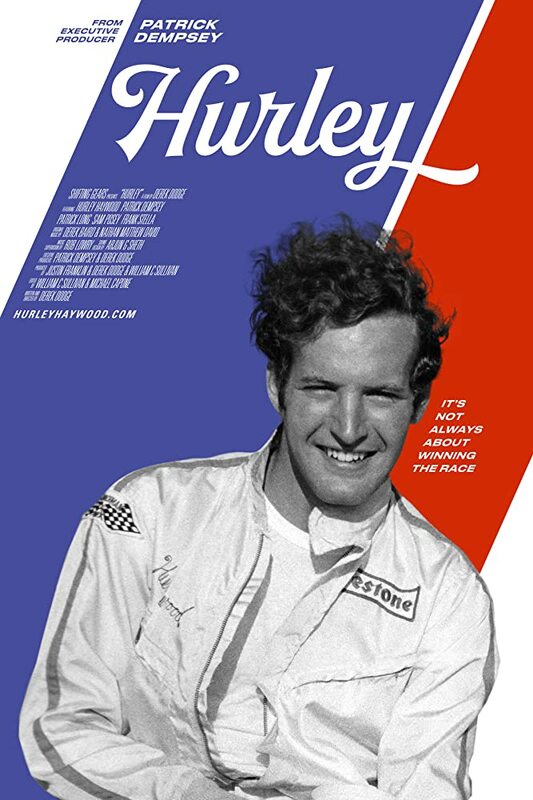 The documentary Hurley by first time filmmaker Derek Dodge takes you behind the curtain of the biggest icon in American racing. I would consider this a double documentary as racer Hurley Haywood’s story could not be told without also incorporating fellow racer Peter Gregg. The film covers the career of both men as well as their falling out and aftermath. Their stories are told through interviews with family, colleagues in addition to archival footage and photos that really bring the viewer into each frame. The constant throughout this film is Hurley’s ability to capture the audience’s attention; not being a racing fan it was his demeanor and appeal that keeps the viewer captivated by the story as it unfolds. The main point behind the film is Hurley coming out of the closet. In a sport dominated by the alpha male persona where women were treated as objects it was a less than desired place for Hurley to be his true self. If not fear in how his colleagues would react the fear of what would happen to his image definitely did. If one thing is clear after watching this film it is that Hurley’s racing abilities were that above the rest and he was in a league all his own. Winning multiple titles in the most prestigious races made him an instant icon the sport had never seen before. As intriguing as Hurley’s story is, him being gay seems to be more of a glazed over topic. It is discussed throughout the film but only to offer a parallel to his racing life. The two never intersect and towards the end when it seems they will the film ends. It is obvious some in the racing community don’t care if Harley is gay but if he were to make himself a spokesperson within that same group I believe that attitude would change. Hurley, who is now married to his long time partner still seems to keep both lifestyles separate. It is there I wish the film dug deeper but everyone deserves their own tranquility and not to be shoved out in the spotlight. In the end Hurley offers an intriguing insight into how someone became a legend of the racing world and along with that the struggle he faced with trying to be true to one self.